Your IT organization falls in terms of operational processes in your strategic business role. The business managers expect new, innovative solutions from you that give the company a competitive advantage. What new solutions and offers they could deploy in presence of an agile, flexible IT infrastructure? You have to deal with different obstacles. The rigid and isolated infrastructure that your business is running for years forcing your IT organization to be more reactive than proactive, which makes it difficult for business to anticipate proactively new development. The need for new solutions evolves faster than the responsiveness of your IT organization, which means that business managers and the IT department turn with their requests directly to the service provider. Such shadow IT projects increase the complexity, risk and cost of their IT. And since most of your IT budget probably is used for maintenance and manage your existing systems, little room remains for more value-creating initiatives. 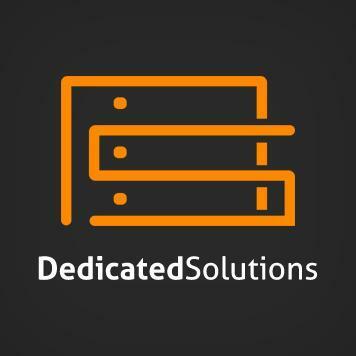 DedicatedSolutions can support your IT infrastructure at a lower cost. We offered simplified management, security and managed custom solutions that enterprises need to respond quickly to the business needs of today and future innovations of tomorrow. The virtualization technologies from DedicatedSolutions will allow rapid development and provision of new services, applications, and resources. Thanks to modern management tools through a central interface control, all your virtual IT resources, including multiple hypervisors process even faster response and simplify and optimize requirements. In addition, DedicatedSolutions technologies are based on open standards, which allow you always to use those tools and to choose applications that best meet your business needs without having to take the lack of flexibility of proprietary IT environments. DedicatedSolutions technologies based virtualization benefit from a high subscription model that costs less than royalty based solutions. Moreover, you can use our custom solutions to increase VM density, so you need fewer systems for your operations. In fact, the virtualization costs by using our solutions can increase your budget for Innovation. The virtualization technologies from DedicatedSolutions have the same security features as found in most of the leading vendors, making sure your entire virtual infrastructure is secure and robust. Also, our monitoring features prevent the spread of unauthorized access to protect your processes even more and the vulnerability to reduce further. DedicatedSolutions offers you a flexible, secure and cost-effective virtualized infrastructure that can be more proactive and use the latest technological innovations and progress to satisfy business requirements. Our cloud management platform delivers private, public and hybrid cloud as per your company needs. To meet your company’s needs for new solutions and to prevent shadow IT projects, you need a flexible, cost-effective IT infrastructure. DedicatedSolutions virtualized infrastructure ensures an increase in agility and cost reductions and allows you to focus more on innovation. Please contact our sales team to discuss more of our offers and their contribution to the promotion of IT innovations. This entry was posted in Cloud Computing, DedicatedSolutions, Virtualization and tagged DedicatedSolutions, IT innovation, IT services, virtualization on February 12, 2016 by marketing.